Knit on a "knifty knitter" loom, this pink protest hat is made with a doubled strand of soft acrylic yarn. It's lightweight with a airy feel, good for protests in warmer weather. The ears are knit right in. Between the color and the ears, you're guaranteed to get noticed! These are knit with Caron brand Simply Soft yarn. A sturdy yet soft acrylic yarn that comes in pretty much every color. 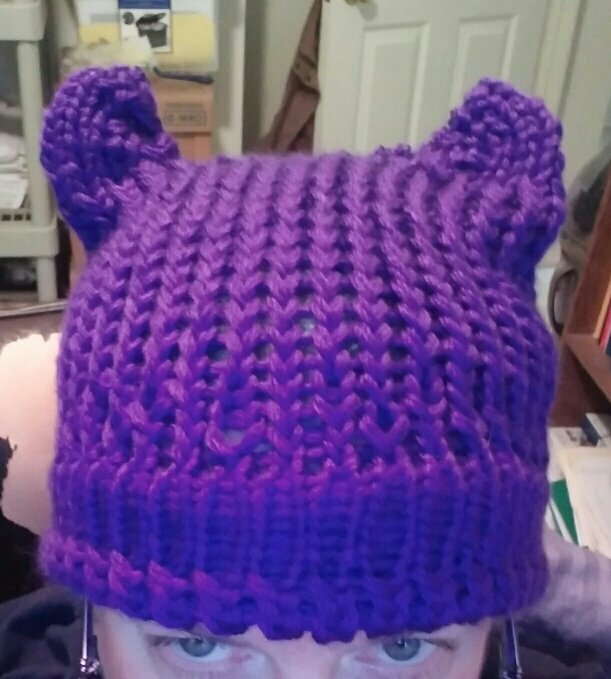 I have several colors on hand (mostly pinks and purples), but can whip up a hat to your liking in a couple days. Tell me your color choice in "Note to Seller" during check out.